Those who are getting into the world of real estate likely want to know how to value multiple properties quickly and efficiently. Thankfully, this process is easier than you might imagine. It does require a little mathematics and an understanding of property value versus the potential selling price. However, just about anyone who purchased real estate in the past should have the ability to manage this type of calculation. Read on to get a detailed look at the world of property valuation. This will give you a better idea of how to value multiple properties so you can understand the quality of your portfolio. 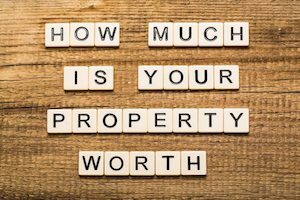 While calling a professional appraiser is still a good idea, this process at least gives you a basic understanding of the potential value of your property. Start by breaking down your properties by their type. The most minimal breakdown you can make is between residential, commercial and industrial. However, between these properties, you also have various sub-divisions. For example, there are single family homes, multi-story homes, apartment complexes and much more. Breaking them down properly is crucial because there are different valuation techniques for each type. Fully understanding what kinds of properties you own helps you better understand the various ratios and valuation methods available to you. While not every type fits each property category, understanding them all is important. When you are trying to figure out the value of multiple properties, you need to assess the net operating income and the required rate of return on your real estate assets. Each of these values is tricky to figure out. The net operating income gauges how much money the property makes you versus how much it costs to run. For example, if you get $10,000 from an apartment complex that costs $5,000 to run, you have an income of $5,000. It is also necessary to value the taxes that affect each piece of property. Homeowner taxes differ from taxes on commercial and industrial properties. For example, businesses need to follow various operation taxes to keep operating properly. It is important to compare these values to the market values to get an idea of what each piece of property costs to own and operate. One problem that may plague your attempt to value your properties is changes in the real estate market caused by the stock market. This unpredictable influence changes on a daily basis. For example, if the stock market booms, the value of your properties follow suit. This is especially true of commercial and residential properties, as they are dependent upon economic growth. Another problem occurs if you are attempting to sell an improved piece of undervalued property. For example, high-quality items sold at foreclosure prices can be harder to assess. There may be problems with them that you didn’t understand or take into account. As a result, your total value estimation can be off. When you finally have all your values together, you can assess their worth by adding up the numbers. By following these simple steps, you can find the value of multiple properties quickly and easily. However, you must also take into account any improvements that might influence surrounding properties. For example, if you improve the curb value of one home, the home you own next door will also likely increase in value due to its proximity. As you can see, knowing how to value multiple properties can be a complex business. While not impossible to perform on your own, it does require a skilled understanding of the property types you have in your portfolio. It also requires understanding the market flow and changes that can influence the value of your particular properties. Why risk inaccuracies or spend extra time that you likely don’t have trying to figure out this complicated process? There are professionals available to help you ensure you get the accurate business valuation you need when you need it. In fact, if you need a business valuation performed for a small business or multiple properties, we have a suggestion that can bring you peace of mind and an accurate valuation. Our pro team at Global Valuation can help you get the facts you need. Simply call (770) 988-4498 for more information on how to value multiple properties. We can teach you how to value multiple properties and provide you with unique insight into your real estate portfolio. Contact us today to ask your questions or to learn more.